Brian was a nephew of former Tannadice favourite Dennis Gillespie, and signed for United from Vale of Clyde. He then spent three years in the reserves and but was unable to command a first team slot and in November 1974, he left to join Hamilton Academical. The restrictions of the three day week brought Sunday football to Tannadice for the first time as the sides disputed the right to appear in the quarterfinals. Conditions were well nigh perfect but, unfortunately, that failed to provide an enthralling Cup-tie. The match generally was scrappy and for so long the tie seemed destined for a goal-less draw and replay. Archie Knox came closest to scoring in the early stages and that prompted Morton into retaliation, and the visitors came close on three occasions, particularly on the latter, when George Fleming had to head a Hugh Mcllmoyle shot off the line. Three minutes later George was in action at the other end with a header which went only inches past. Obviously Manager Jim McLean's half-time lecture had its desired effect as the Tannadice men buzzed round Roy Baines' goal. The game progressed somewhat haphazardly until the 61st minute, that is! The ball had been hovering around the Morton box when it arrived at the feet of Brian Rankin. The 18 year old responded by instantly crashing a venemous left-foot shot which screamed past a helpless Roy Baines. 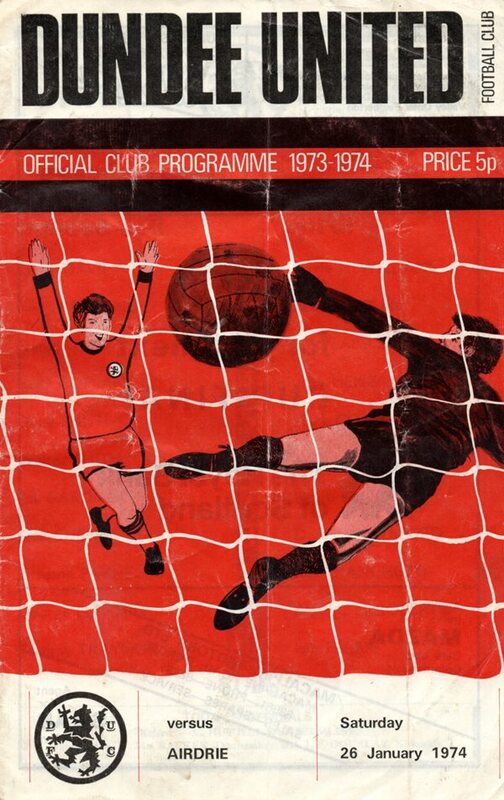 Apart from a John Holt clearance on the line, United had few further anxious moments in a match in which they rarely played well, but a passport to a quarter-final tie with Dunfermline was more than acceptable solace for the standard of performance. Unfortunately, notwithstanding a fine Sunday afternoon only 7,000 watched what was overall a disappointing tie. We, of course, went on to reach our first final that season.